Trader Joe's issued a voluntary recall Thursday for a frozen breakfast burrito because the product may have pieces of plastic in it. 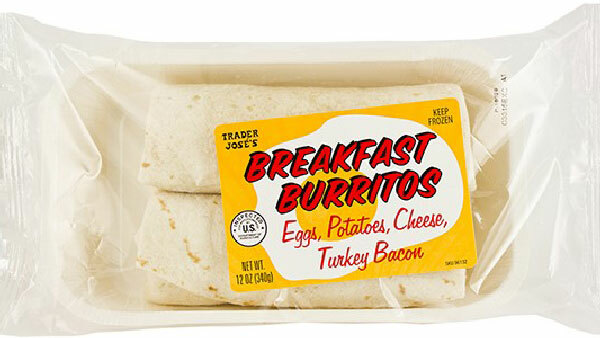 The recall is for Trader Jose's Breakfast Burritos with SKU 96132. These burritos were sold in 25 states, including Illinois, Indiana, and Wisconsin, Trader Joe's said. All Trader Jose's Breakfast Burritos have been removed from the stores as a precaution. Anyone who purchased this product is urged to throw it out or return it to a Trader Joe's store for a full refund. "We sincerely apologize for the inconvenience," Trader Joe's said in a press release. Those with questions can contact Trader Joe's customer relations by calling (626) 599-3817.